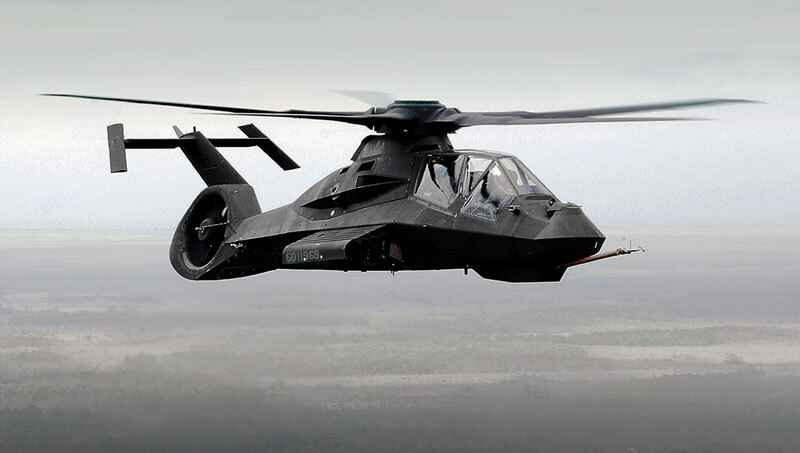 The Comanche RAH-66 reconnaissance and attack helicopter was developed by Boeing and Sikorsky for the US Army. The program entered engineering and manufacturing development (EMD) in June 2000, which required the construction of nine aircraft in addition to two prototypes. In an armed reconnaissance mission, Comanche could recognize and identify targets and digitally transmit the information to the battlefield commander in near real-time, select the optimum force deployment and coordinate the attack. The airframe of the Comanche RAH-66 was crashworthy and ballistically tolerant to 23mm gunfire. The radar cross section was minimized primarily by the precisely shaped fuselage and internal weapons configuration. The helicopter had a composite five-blade bearingless main rotor and an enclosed composite fantail rotor for increased anti-torque capability. The rear rotor was able to withstand impact by 12.7mm rounds and provided a 180° turn in 4.7 seconds in hover mode and an 80kt snap-turn-to-target in 4.5 seconds. The Comanche was equipped with a suite of passive sensors and a computer-aided Northrop Grumman mission planning system. This system carried out sensor data fusion, high-speed analysis and correlation of the sensor data. Northrop Grumman TASS (target acquisition system software) functions included automatic target tracking and target threat management. The analyzed data was presented to the crew in the cockpit displays or transmitted to other elements of the force, providing direct relay of near real time intelligence. Lockheed Martin Missiles and Fire Control developed the EOSS (electro-optics sensor system) which comprised: EOTADS (electro-optics target acquisition and designation system), including solid-state TV sensor, two-color laser rangefinder/designator, second-generation focal plane array long-wave FLIR (forward-looking infrared), and NVPS (night-vision pilotage system) with a second FLIR. The first complete EOSS system was delivered in June 2003. Peregrine worked with Lockheed Martin Missiles and Fire Control systems on the Electro Optics Target Acquisition and Designation System (EOTADS). One of the key components that Peregrine assisted on was the torque limiting device to prevent damage to the EOTAD system when the direction of the system was driven too far to left or too far to the right. 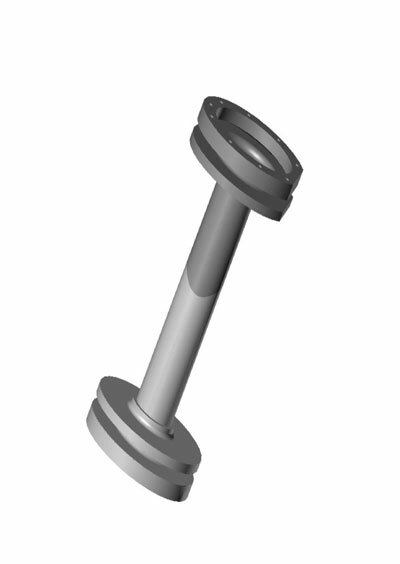 The torque-limiting device “Torque Tube” was designed from beryllium, 440c steel and stainless steel to provide an overall torque-limiting device. At the heart of the device, was a 3-D seat design that allowed for the device to separate where the torque limit was exceeded but the seat would remain intact within its operating range. If the EOTAD system was driven beyond its range the torque tube would prevent damage to the system by separating. Upon redirecting the EOTADS back into its operating range, the torque tube would reseat and operation of EOTADS would commence as specified. Due to the location of the device on the nose of the vehicle; weight, performance and the volume were constrained. 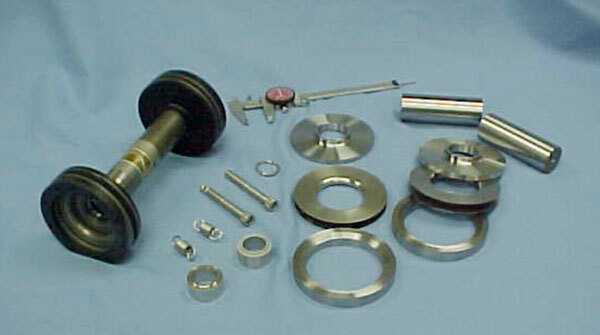 Peregrine chose to design the torque tube from beryllium primarily for its stiffness and low weight qualities. 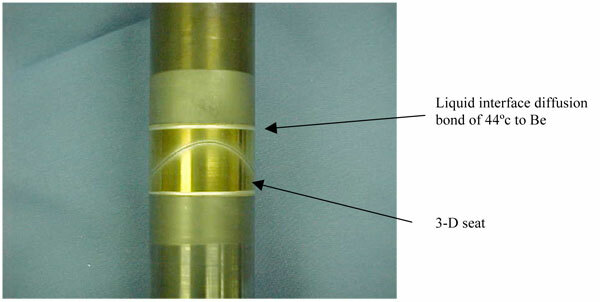 As can be seen in Figures 4-6, two flanges exist on either end of the torque tube. There is a bellows that spans between the two flanges on either side. These bellows were diffusion bonded to the beryllium flanges. The torque tube then transferred its load through a beryllium shaft and into the seat. The seat is a complex 3-D arrangement requiring 5-axis machining. The seat was produced from 440c steel and was diffusion bonded to the beryllium shafts. 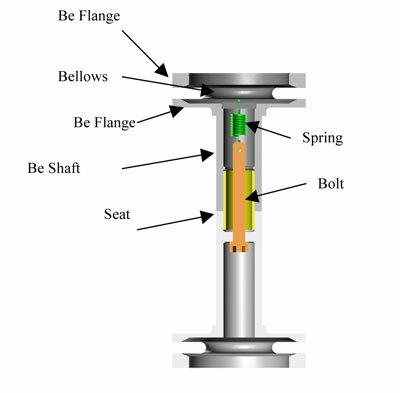 Holding the overall torque tube together was accomplished by an internal spring load, creating a predetermined force across the seat for normal operation but allowing for separation if the instrument would hit a hard stop. As demonstrated in Figures 2 through 6, this device not only took engineering effort from the design of the seat and the transfer of the torque from one end of the device to the other, but also the use of exotic materials and exotic metal joining technology. 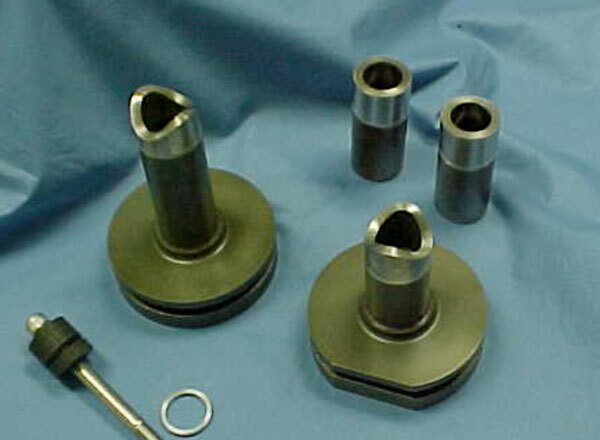 Peregrine was successful in the overall production of the Torque Tube and the delivery of the units to Lockheed Martin for incorporation into the EOTADS system. Peregrine is an aerospace and R&D product development company specializing in the design, simulation, fabrication and qualification of hardware for demanding applications.